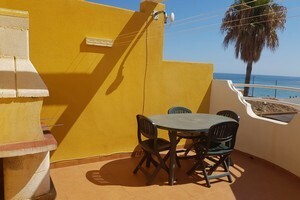 Lovely three-bedroom terraced house in frontline beach condominium only 40m from Las Marinas beach. The property shares a communal pool with direct access to the beach. 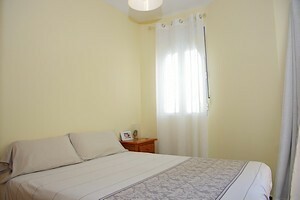 Good location with all amenities nearby. 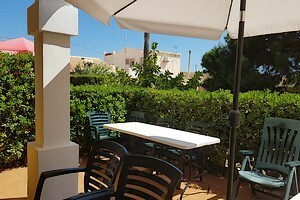 The center of Denia is a 10 minute drive away as are the La Sella and Oliva Nova Golf Resorts. 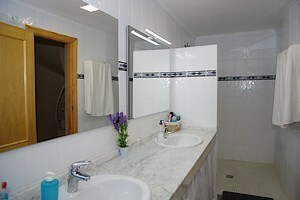 Attractive property, ideal for holidays letting or own use. The property has a floor space of about 900 square ft. with the following layout: The ground floor comprises open terrace, open-plan kitchen, living-dining room and shower room; an internal staircase leads up to the first floor with two double bedrooms with built-in wardrobes, large family bathroom and terrace with sea view; the second floor has a utility room and another bedroom with access to a large open terrace with BBQ and magnificent sea view. The property comes with two underground parking spaces. 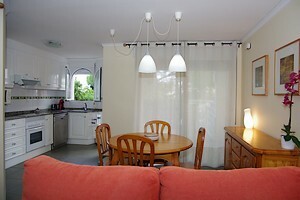 Nice property in great location, ideal for own use or holiday rentals. Council tax: EUR 463.21 p.a.